The Mental Health Commission has taken the first prosecution of its kind against the Health Service Executive, under the Mental Health Act. 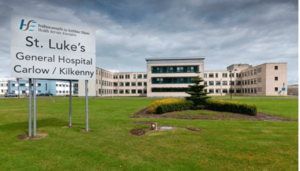 The case involves failures at the Department of Psychiatry in St Luke’s Hospital, Kilkenny. 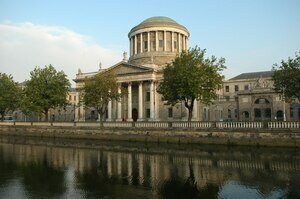 At Kilkenny District Court today, the HSE pleaded guilty to four charges relating to conditions at the unit. The failures were identified during an unannounced inspection at the department between 6-9 November 2018 by the commission. Posted in Misc and tagged HSE, Mental Health Commission, RTE at 1:00 pm on February 25, 2019 by Bodger. One govt agency sues another govt agency? If only both agencies were ultimately governed by a health minister…. Yup – basically one arm of the state gives out to another arm, who promptly use tax payers money (the magic money tree politicians always tell us doesn’t exist….until we are supposed to draw from it for yet another ”we fupped up so need to tax the bejaysus out of you” scenario) to pay fine. Meanwhile, nobody is even mentioned by name, no sanctions are taken and they most likely get their big fat ‘useless fuppers’ bonus. Surely the head of the unit should take the blame here, or people that they appoint. They are ultimately responsible for the facilities and the maintenance, so either they should be punished or the people they have appointed be punished. That’s what would happen in any other non state run organisation. ”He said the air was stale, there were no windows for natural light and the ventilation system was clogged. 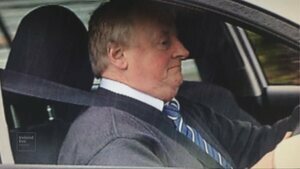 Mr McMenamin said it was an affront to a patients’ dignity to be placed in these conditions. In another room with six patients, there was an open urine bottle, partially filled, close to drinking cups. They are only vulnerable human beings and in this country, the legacy of FFG does not show a history of treating the vulnerable as anything other than an inconvenience.